When Alex and I bought our house in August 2010 we knew that our main bathroom had to go. Some people like how it looks but we not only detest its appearance, it simply doesn’t go with the look of our 100 year-old house and it lacks in functionality and quality. Now, five years later, I am about to swing a sledge hammer and begin the demo! Our bathroom renovation starts today and we couldn’t be more excited. It will be a work in progress for about 5-6 weeks, as it’s a major overhaul – we are completely gutting the bathroom and starting over. We hired a local tile contractor who will be coming in for the first 3-4 weeks and handling the demo and working with a plumber before actually doing the tiling. 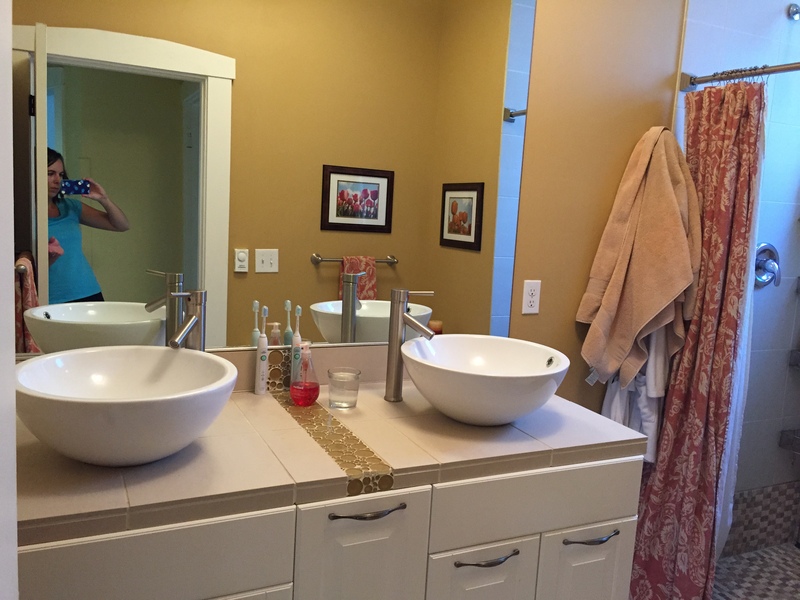 After that wraps up, my brother, who is a contractor in Minnesota, will come out for a week or so and finish off the details, like installing the vanity, mirror and light fixtures, along with painting, doing some trim work and installing all of the plumbing and accompanying fixtures. He’ll have his work cut out for him! 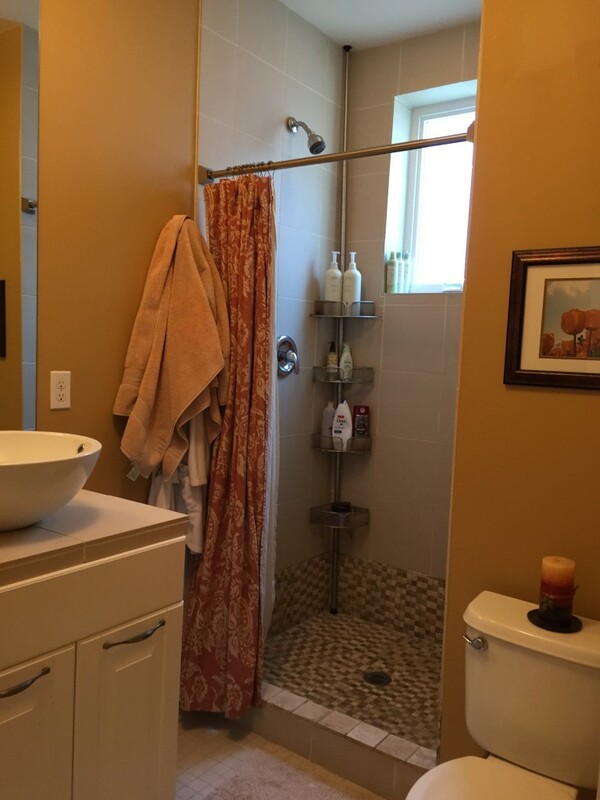 The goal in this project is to make the bathroom look like it fits with the rest of the house and make it more functional and an aesthetically beautiful space. We’ve certainly chosen some fancy extras, like heated floors, but mainly our choices were based on bringing the bathroom back about 100 years. I’ll try to post some “during” photos over the next month and a half to keep you updated. So far the process has been absolutely overwhelming in terms of the number of decisions we’ve had to make, but it’s been really, really fun to be able to finally make this happen. Alex and I enjoy doing projects like this together – it’s a lot to manage and keep up with, but we love to work together on improving our home. Now we just can’t wait to see what the finished product will be like! 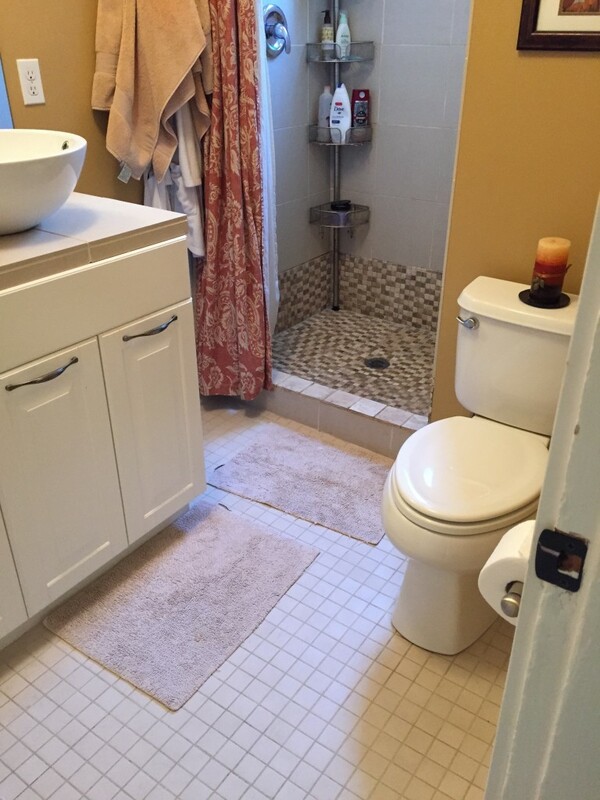 This entry was posted in Life and tagged bathroom renovation, House Projects on October 13, 2015 by Alison Allen.